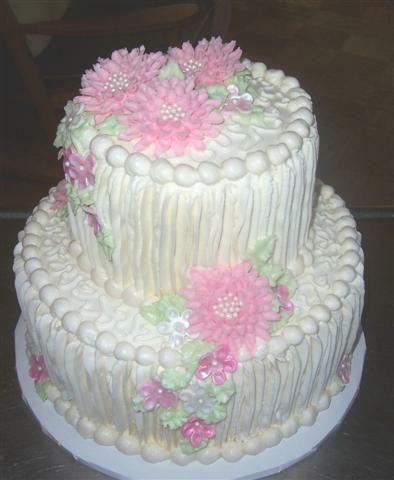 A classic yellow butter cake (6″ & 10″), iced in vanilla butter cream with a pleated design. Bead border and pink butter cream Mums. The small flowers are fondant. 2 doz. 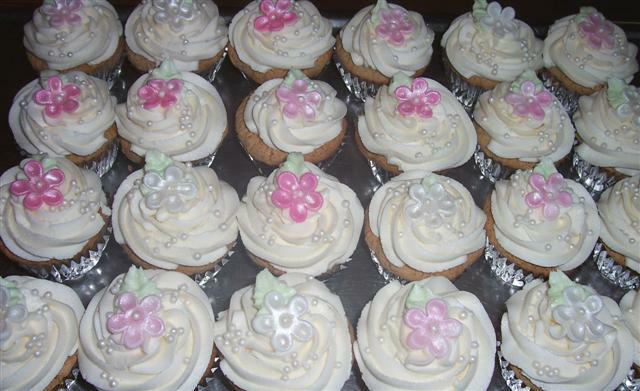 Cupcakes were added for extra servings..
yellow cake, vanilla butter cream, fondant flowers.